Day 8 – Home again! 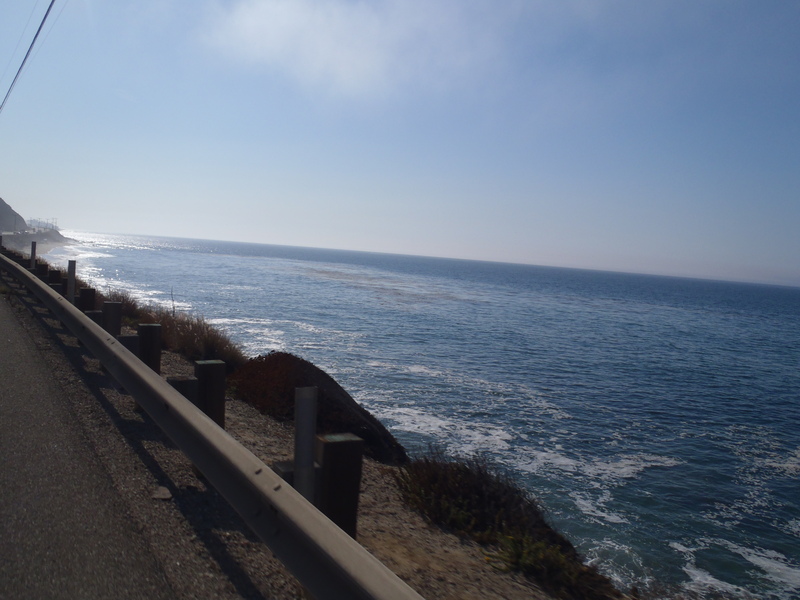 Sunday morning – the kids and I headed to the check point at El Pescador beach – north of Malibu. We were there in time to see Dave and his team come through – though they spread apart. Traffic on highway 1 was pretty hairy – not only because of the normal weekend coast crusin’ traffic – but also because Malibu was hosting a triathlon! So, they had one lane of traffic blocked for cyclists on both sides of the road – which worked out well for our riders. 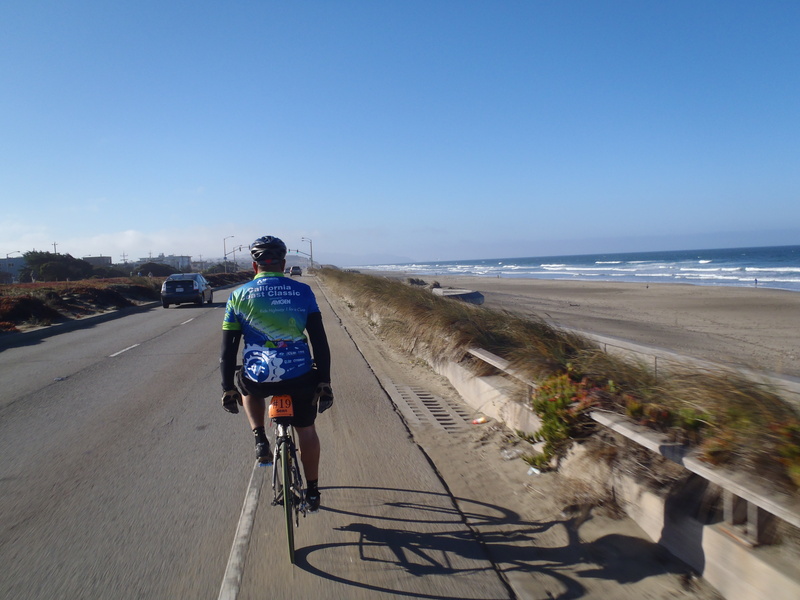 The morning was a bit cool and foggy and they headed down from Ventura – and I heard there was quite a head wind when they rounded Point Mugu. 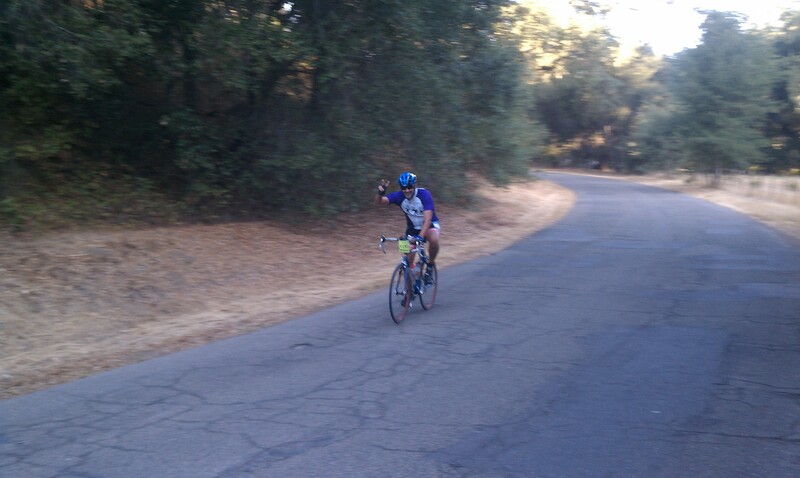 At the check point, the kids and I cheered and helped check riders in until about 11:30am. 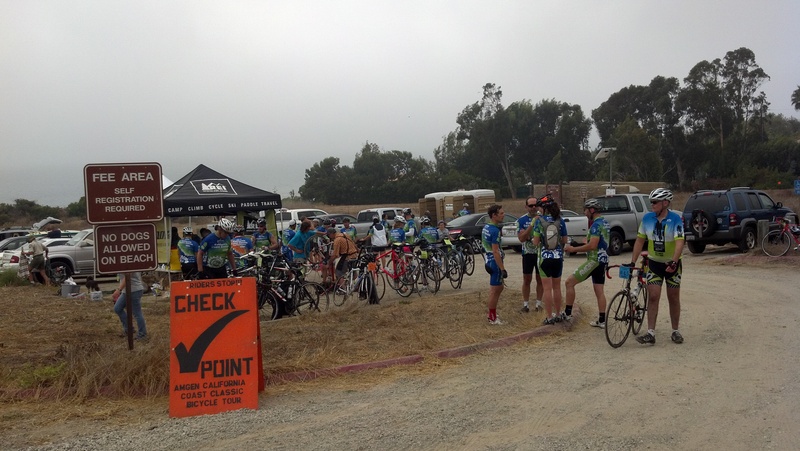 When we left the check point, there were still about 100 riders that hadn’t checked in yet. 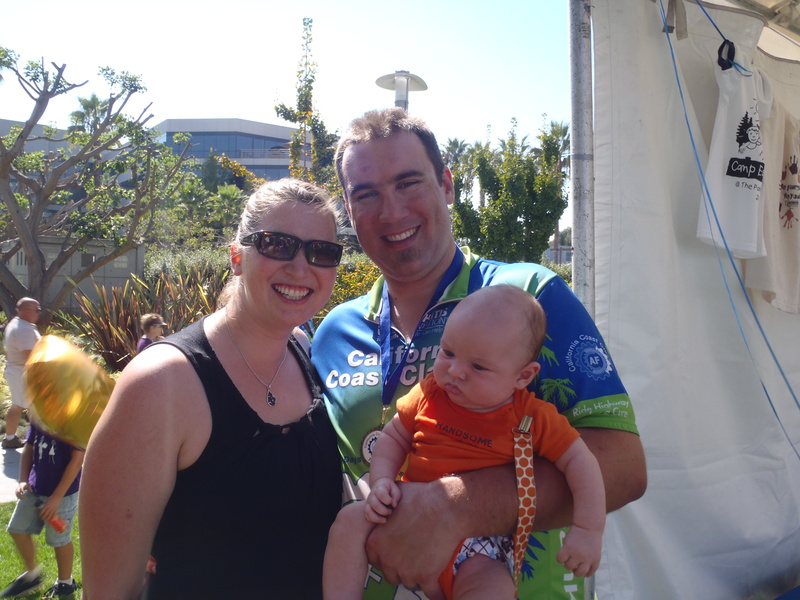 So even though traffic was sluggish on the coast highway, we felt pretty safe getting there ahead of the riders. It was wonderful to see Dave rolling in… even though I had seen him just a few hours before! Seeing all of the riders finish was a bit emotional. It was pretty darn hot out – but we enjoyed getting to catch up with Dave and many of our AF friends… and hearing the closing ceremony. 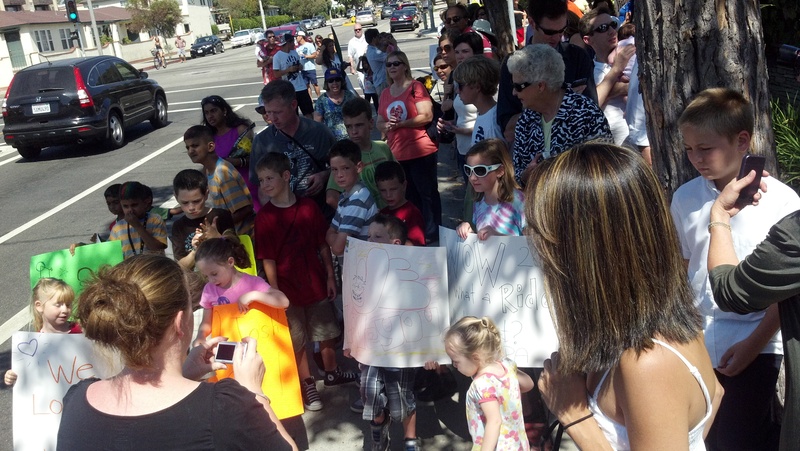 We had a lot of support with family and friends who came out to welcome Dave home…. we are very blessed. We have a lot of people to thank. And I’m sure that Dave wants to say something when get gets back to earth – about how much he loves the event and how he can’t wait to do it again next year. But for now, I’m just grateful that he and the team are home, safely…. and we’re all ready for a good night’s sleep. 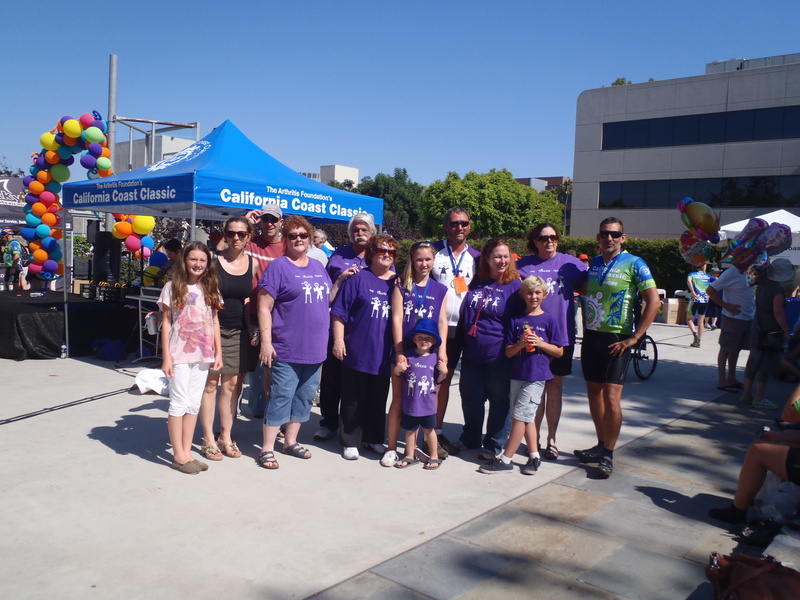 This entry was posted in CCC and tagged Amgen Coast Classic, California Coast Classic, Charity Cycling. Bookmark the permalink. 1 Response to Day 8 – Home again! Thank you for sharing this journey. I almost felt like I was at the race, too! 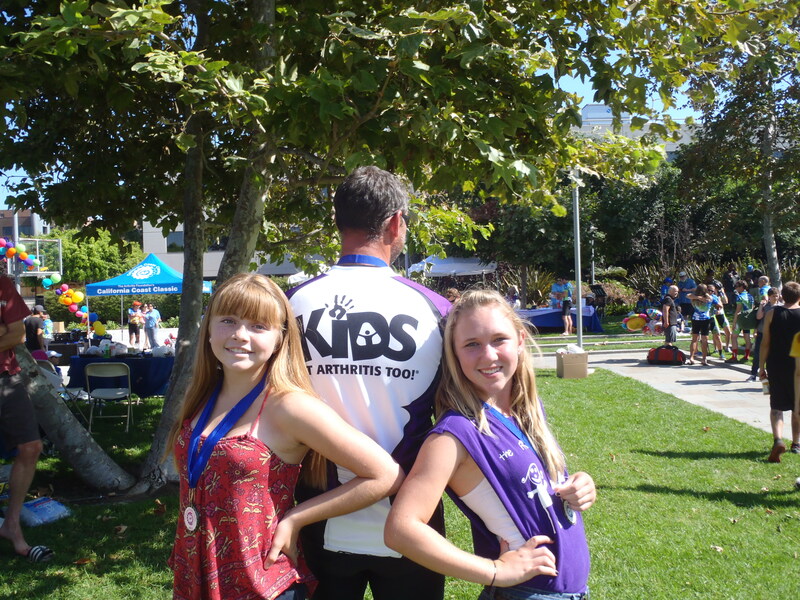 Thank your husband for doing the event…in honor of all our children who suffer with arthritis.